At Transport Finance, our strength is our people. 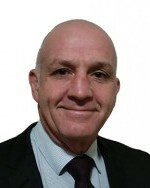 A Banking and Finance professional of 30-plus years standing, John Ryan has spent more than 20 years as a specialist broker with particular expertise in the luxury car, truck and transport equipment sectors. Drawn to the Transport sector by the opportunity to pioneer an Australia-wide operation with Mack Finance, John went on to grow that business into Transport Finance – the company that is today Australia’s No 1 truck Broking Company. Based in Melbourne with offices to oversee in Victoria, New South Wales and Queensland, John considers the entire eastern seaboard his home – that’s not to take anything away from his home. Located in bayside Melbourne with his wife, Lorraine, and a spoilt pooch, Millie, John is known to indulge in all the things for which Melbourne is renowned – plying world-class Sandbelt Golf Courses, enjoying the surf beaches of the Great Ocean Road, fine wine and dining…and a love of the home-town favourites – the mighty Melbourne Football Club. Coming to finance broking after almost 20 years on “the other side” in banks and financial institutions, Brett Bentley has an exceptional understanding of the finance industry, its people and its products. Having worked as a broker account manager prior to joining Transport Finance, Brett understands intimately how these businesses work…and how to best support his client’s. Drawn to his current role by the opportunity to balance work with a growing family of school-age children, Brett has settled sportingly into life in Geelong. Here he plays cricket, coaches junior football and serves on the committee of the local football club. Around a life filled with sporting, social and school interests, Brett and his wife, Kath, have completed two major renovations, volunteer regularly …and yet still have time to enjoy a movie and brunch …sometimes even without the kids! Our longest serving Transport Finance executive, Andrea Jones has been an intrinsic part of the team for more than eleven years. Coming originally from the luxury car finance industry, Andrea fully understands the level of service required to keep client’s coming back – with the ground-rules of courtesy, communication and responsiveness at the heart of her all her relationships. Andrea’s professionalism, keen eye for detail and ability to respond quickly, see’s her exceed at her role. Married to husband, Troy and with 2 beautiful children Evie and Tom, family poodle, Rosie and Chickens. Andrea’s focus is on creating great memories for her two Primary School-aged children, like teaching Evie how to Roller Skate. Born in country Victoria, Andrea loves nothing better than getting away to her families few acres for her active kids to collect mushrooms, ride motorbikes and head off on bush walks whenever they can. With a long career in customer service in the hospitality, legal and finance industries, Judy Jones believes that meeting clients’ expectations is not enough. She says that for service to be appreciated and remembered, it must exceed those expectations. It’s a philosophy she has lived out every day of her close to 10 years at Transport Finance ..and one which sees her as one of the company’s most appreciated and remembered employees. It’s no surprise then, that Judy is not afraid of a little hard work outside working hours. At home in Melbourne’s western suburbs for the last 16 years, she has raised three children, renovated three houses and added two dogs. Now with grandchildren in the mix, the hard work, chaos and appreciation promise to continue for many years yet. Darren is a Financial Services and Banking professional offering clients over 30 years of Commercial Finance experience. 20 of those years in various Asset Finance and Commercial Banking leadership roles in a “Big 4 Bank”. This extensive knowledge enables him to gain a deep understanding of the various stages in the evolution of a growing business. Importantly, engaging clients in a range of funding solutions that may be ideal to support the aspirations of their business. Darren cut his professional teeth specializing in Road Transport, Passenger Transport and Earthmoving industries and feels a great affiliation and passion in supporting the industry. He understands how things work on “both sides” of the finance fence. Offering this experience coupled with the advantage of access to the Transport Finance panel of lending organisations places Darren in the best position to become a valued advisor to your business and support you in achieving your aspirations. Beyond the office he is the Weber masterchef catering for his wife and large family at the open house Sunday Brunch or Roast Dinner. Family. Golf and various forms of armchair sport are all regular chill time activities.